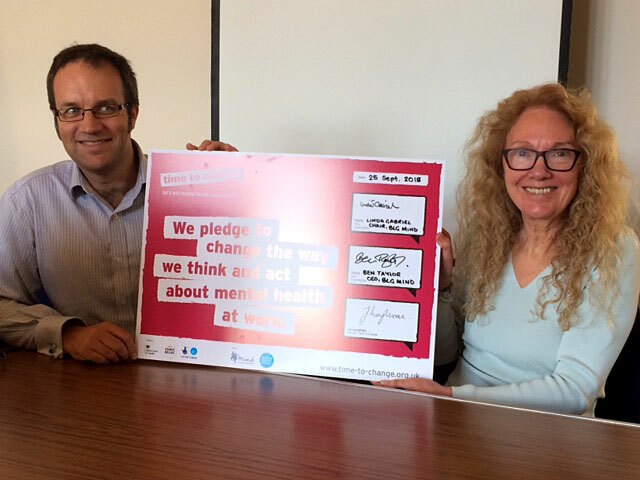 At the Board of Trustees meeting on 25th September, Bromley, Lewisham & Greenwich Mind Chair, Linda Gabriel, and Chief Executive, Ben Taylor, signed the Time to Change pledge on behalf of the organisation. The pledge signals our commitment to mental wellbeing in the workplace and to make sure that employees who are facing mental health problems feel supported. The pledge comes with an action plan which will feature on the Time to Change website.